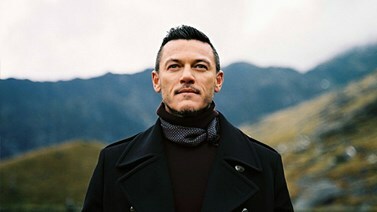 Welsh Actor Luke Evans mentions “Llyn Y Fan’s Great Beauty” in Visit Wales’s amazing new advert promoting Wales. 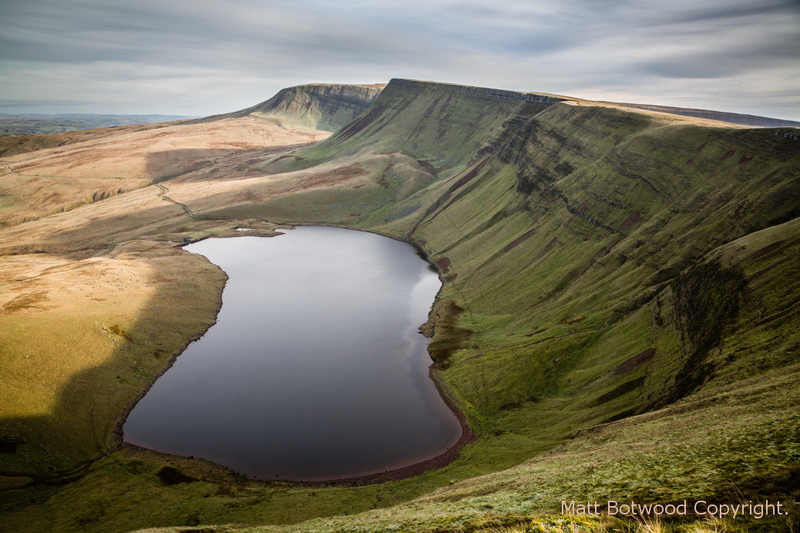 Llyn y Fan is a lake in the Brecon Beacons or in fact two lakes. Llyn y Fan Fawr and Llyn y Fan Fach lie on a mountain just north of Ystradgynlais, where River Tawe Holiday Apartment is situated. It is a short drive and a beautiful walk to visit these ancient and mysterious lakes which have been the subject of legends throughout the ages. The Red book Of Hergest, an ancient manuscript, written just after the year 1382, holds a tale that starts by the shores of Llyn y Fan Fach and the same story is also recorded in the Mabinogion. 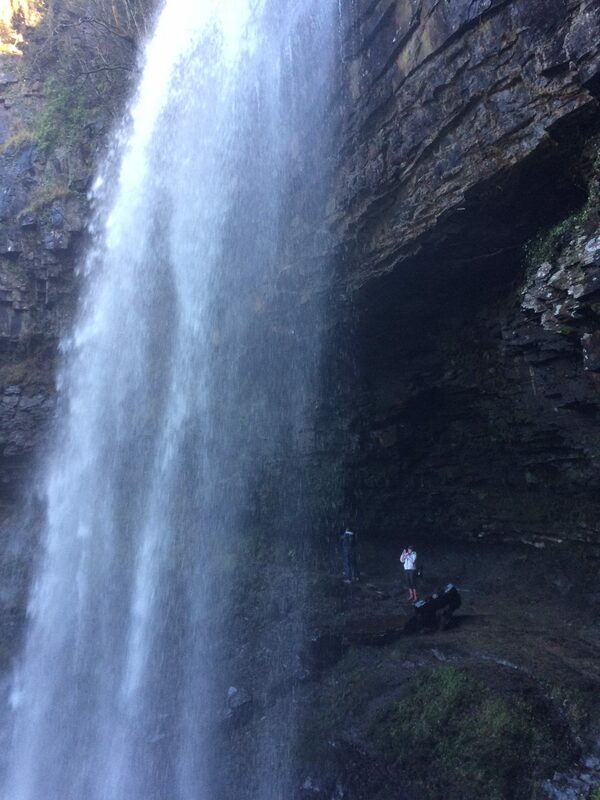 Hendryd Waterfall is South Wales’s tallest waterfall with a 90ft drop. It is situated near Coelbren on the River Nant Llech. A spectacular and mysterious sight especially as for the sure footed it is possible walk behind the falls. The Fossil Trees which stand outside Swansea Museum were found here by Sir William Edmond Logan who later became the head of the Geological Survey of Canada. The waterfall was also the entrance to the bat cave in the film Batman – The Dark Knight Rises. It is a steep walk that can sometimes be slippery, wear waterproofs if planning to get close. Travelling a little further to Pontneddfechan and the Waterfall Centre, where there is information given on the many stunning walks available some easy ranging up to huge adventures taking in up to nine waterfalls in one day. Download our factsheets Henrhyd Falls and Waterfall Country. The Gower Peninsula is astoundingly beautiful and was the first place in the U.K to be designated as an (AONB) Area of Outstanding Natural Beauty. 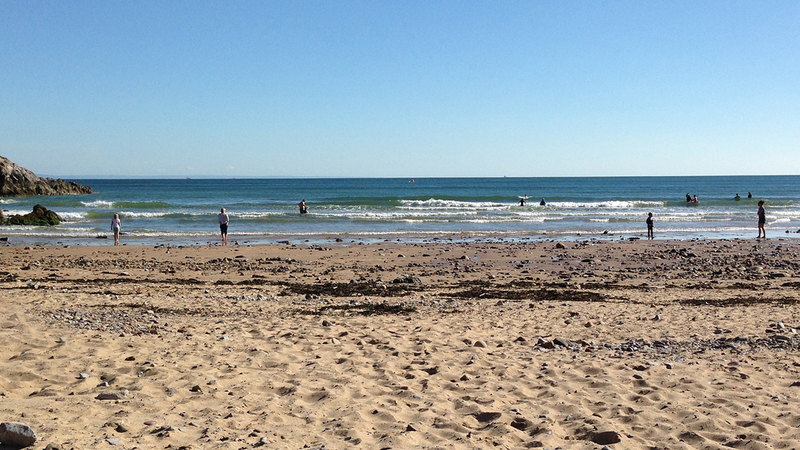 Whether you are interested in geology or kite-surfing, history or hiking, the Gower is a fabulous place to visit. Explore amazing caves, search for ancient monuments and follow in the footsteps of the viking raiders as you explore the areas unique heritage. Guarding the entrance to a picturesque and mysterious valley, called Penwyllt, full of caves, quarries, ancient monuments, cosy pubs and stunning scenery lies the Sleeping Giant. This hill called the Cribarth looks like a huge sleeping giant. Legends have it that the giant will awaken to help his people in a time of need. 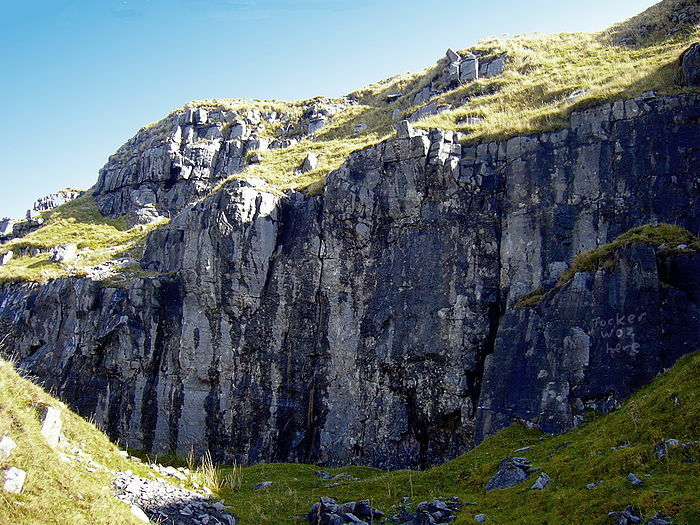 “Cribarth must be one of the most intensively quarried mountains in Wales, but this actually adds to its appeal. The hey-day for this activity was between the opening of the Swansea Canal in 1794 and the 1890s. 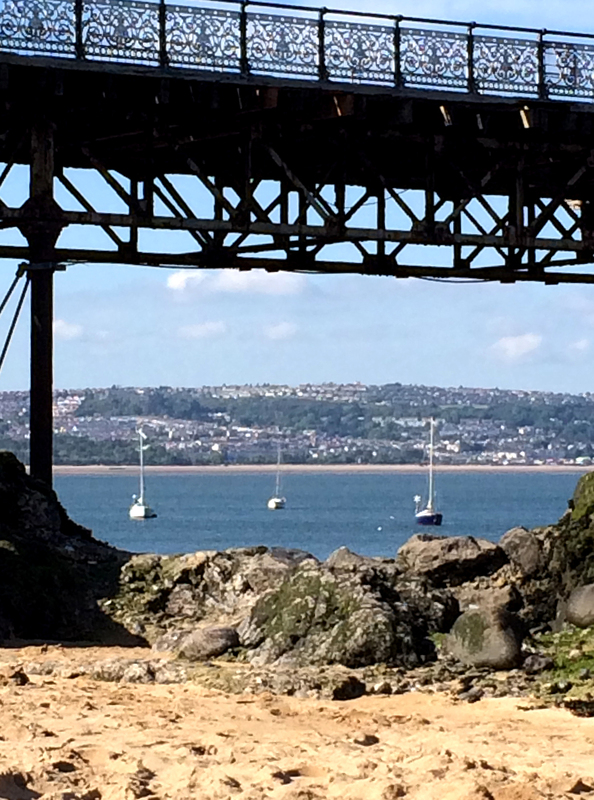 Limestone, silica rock and rottenstone were extracted in huge quantities for the iron, copper and tin industries further south around the Swansea Valley. This has created a beautiful and rugged landscape full of mystery due to the presence of two cairns and the presence of the valley with Craig y nos Castle, a hotel and Craig y nos Country Park, which contains 40 acres of Scenic Park Land. The valley also contains the National Showcaves Centre a major tourist attraction as well as the Caving Club at Pewyllt.